Allegations of domestic violence can occur to anyone, including men and women. However, when you are in the military, a charge of domestic violence or abuse carries significant consequences that could not only impact your freedom, but your career. 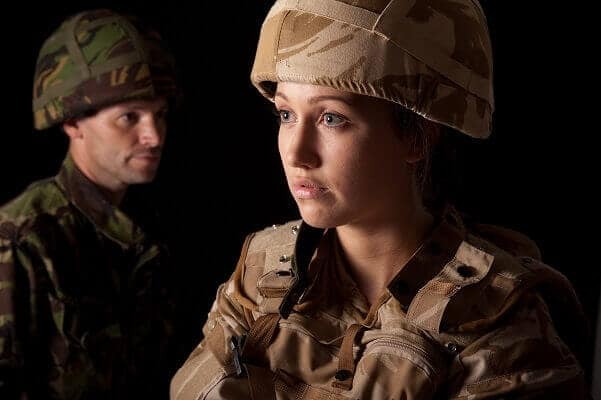 The military has special rules regarding domestic violence, and you must be an intimate partner of the alleged victim to be accused of violence or abuse against them. What Happens When You Are Accused? If accused of allegedly abusing your spouse, ex-spouse, or another romantic partner, you may be served with a protection order issued by the state or by the military. As a military service member, you may face the military justice system or the state system. These are separate, unconnected systems. If you are not convicted in a civil court, that does not mean the military will not convict you of the crime. Will I Be Charged with a Crime? Being charged with a crime and served protection orders are two different things. First, the state prosecution would need to determine that you are guilty or probably guilty of the offense. Sadly, this might only require the testimony of the alleged victim. Then, the military might get involved, especially if domestic violence occurred on a military base or installation. If charged, you will be issued a Court Martial where you must appear in military court, and a hearing will determine if you are guilty. You will receive a dishonorable discharge. The military does not tolerate domestic abuse or violence. Therefore, you may have your military status discharged, even if you are only issued a protection order and not convicted. If you are convicted, you will be discharged and unable to re-enlist. You will be barred from carrying a firearm. If convicted, the law requires that any domestic abuser not is able to carry a firearm via the Federal Gun Control Act of 1968. This means that you would not be able to serve in the military because you would be barred permanently from carrying or operating a weapon of any kind. As a dedicated service member of the U.S. Military, you have given the country more than your fair share of time. Sadly, you are not given the benefit of the doubt in many of these accusation cases, which is why it is imperative you hire a criminal defense attorney immediately. An attorney can argue against your alleged violence or abuse in civil court and help you avoid such convictions. Whether it is a plea bargain or your case is dismissed, the sooner you involve a criminal defense attorney, the better the chances are that you can maintain your career in the U.S. Military. Speak with Attorney Christian A. Schwaner, P.C. today by calling 719-577-9700 or request more information online.